Are you planning to release a book, podcast, or other product? Want to make your launch a success? 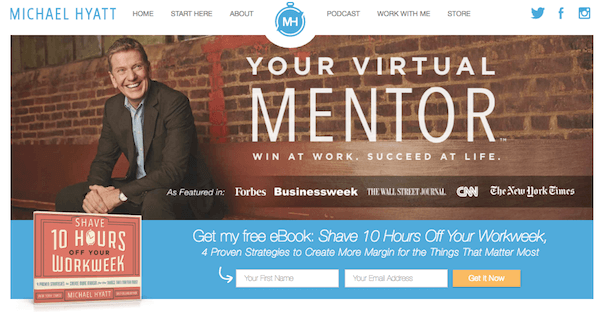 To discover how he launched his latest bestselling book, I interview Michael Hyatt. In this episode I interview Michael Hyatt, author of Platform and co-author of the new book, Living Forward. He’s also the host of the This Is Your Life podcast and he blogs at MichaelHyatt.com. In his prior life, Michael was the CEO and chairman of book publisher Thomas Nelson. Michael explores how he launched his latest Wall Street Journal and USA Today bestseller, Living Forward: A Proven Plan to Stop Drifting and Get the Life You Want. 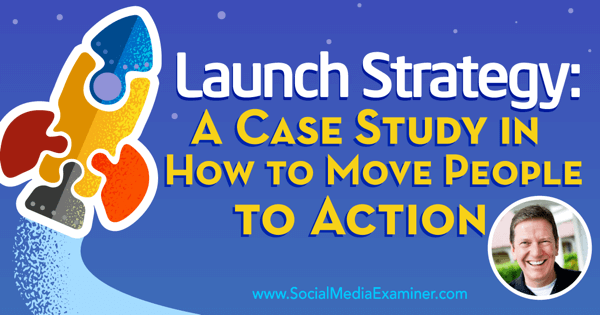 You’ll discover how to create a launch plan for any project. 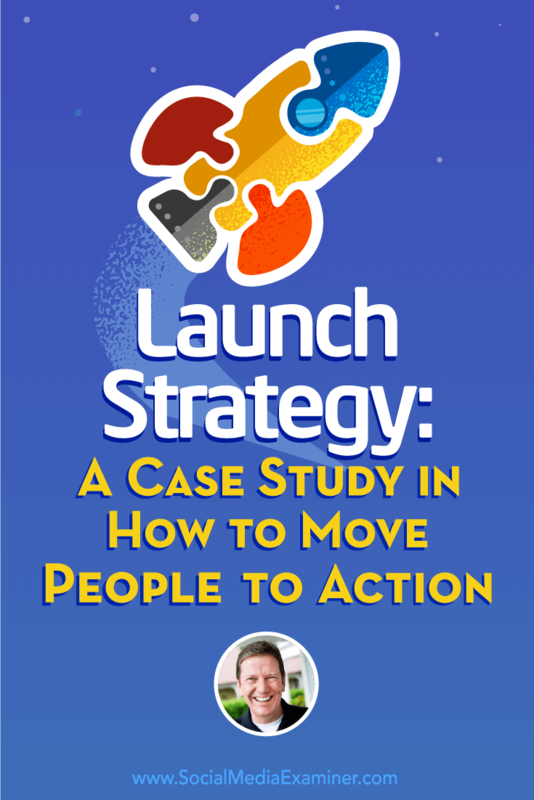 Listen as Michael Hyatt shares what marketers need to know about project launch and how to move people to act. Why write a physical book in the digital age? 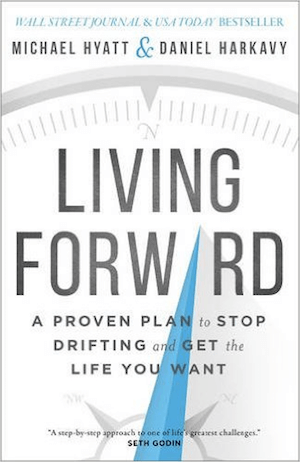 Michael has Living Forward available as an audio book, an ebook, and a print book. Since everyone talks about digital books, you’d think physical books are obsolete, Michael says. The truth is ebooks are only 25% of the market; the other 75% are physical books. Publishing only in digital format would mean missing the vast majority of the potential market. Furthermore, as of now, you don’t really have a chance to reach any of the major bestsellers lists unless you publish a traditional book, he adds. 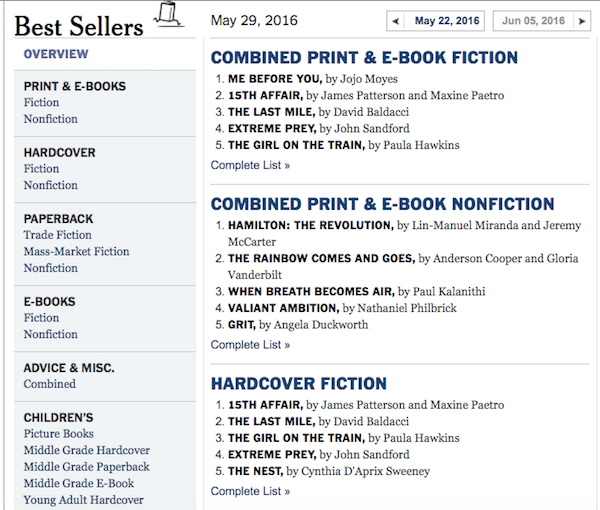 The New York Times has an ebook bestsellers list, but those are really only for digital editions of physical books. You also don’t have much chance of getting any major media unless you publish a physical book, because most of the gatekeepers in traditional media want to see a print book. The ebooks on The New York Times Best Sellers list tend to be digital editions of physical books. Finally, an ebook doesn’t have the same cultural authority as a traditional hardcover book. There are a lot of reasons to write a book, but Michael doesn’t know of anything that can give you more authority in your niche than having a published book. An ebook is better than nothing, but it’s not as good as a traditionally published hardcover book, he says. There are other benefits to being a bestselling author. If you’re a speaker, you can be introduced with that moniker. It also enables you to increase the prices of whatever you’re selling and helps with distribution. There’s a limited amount of shelf space in conventional bookstores. They are risk-averse in what they order, because they get stuck with books they can’t sell. Even though they can return unsold books to the publisher, it’s just a hassle, he says. Once your book gets on the bestsellers list, the retailers that didn’t initially order your book have to have it all of a sudden. Listen to the show to learn more about Michael’s 35-year background in publishing. Michael says Living Forward is about creating a life plan. Michael wanted to help people stop drifting through life, become intentional, and start designing the outcomes they want. He learned these things when he started working with an executive coach around 2000. Living Forward by Michael Hyatt and Daniel Harkavy. After he became a divisional manager at Thomas Nelson, Michael and his team were working like crazy to build up the division. They got to number one in 18 months, but the cost was life balance. When Michael told his friend, author John Maxwell, that he was looking for a coach, John introduced him to Daniel Harkavy, the CEO of Building Champions. Daniel became his coach for a decade, as well as a good friend. One of the first things Daniel taught Michael was how to create a written life plan. His life plan was so transformational that Michael began to write about it on his blog. A while later, he and Daniel decided to just write a book together. They wanted to help people create an extraordinary life. The creative process took much longer than it should, Michael explains. The book was published March 1, 2016, even though they started working on it in the summer of 2014. Michael wrote the first draft of the manuscript in 30 days up in the mountains in Colorado. After that, figuring out their collective voice was a bit of a creative challenge, but they did it. Listen to the show to discover why Michael considered self-publishing and then decided against it. Nine months before the book launched, Michael started involving his tribe. For instance, he came up with some titles, put them on Facebook and his blog, and asked people to vote. Another instance is when they narrowed the book cover selection to two. Half of the team liked each one, and Michael was ambivalent, so they shared it. They got extraordinary input, but more importantly they got buy-in from their tribe. Michael got input on the book cover from his tribe. Three weeks before the book officially launched, they began sharing pre-launch videos. They followed Jeff Walker’s Product Launch Formula. The basic idea is to do a series of videos where you present real, compelling, helpful content. You do this to build trust, so when you ask people to buy the product, they already have a relationship with you. The videos incorporated Michael and Daniel talking, along with B-roll footage (voiceover on top of video representing what they’re discussing). People had to share their email address to watch the videos. They had around 40,000 people opt in. When I asked about the goals of the pre-launch video sequence, Michael explained they were trying to build excitement about the book and also attract people they could convert into buyers. 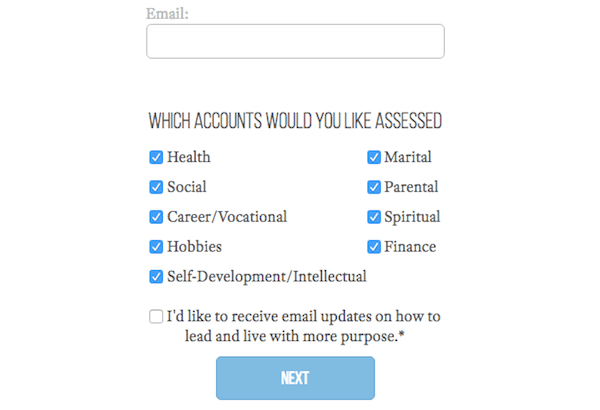 They also created a life-planning assessment as an opt-in. People love to take tests, like Myers & Briggs, the DISC test, or StrengthsFinder, Michael says. They created this assessment to enable people to figure out where they are in the various categories of life with the idea of surfacing why they needed a life plan. The life plan assessment was another opt-in. It’s all building towards driving sales during launch week, Michael continues. The way the bestsellers lists work is they measure what sells from Sunday through Saturday at midnight. The book that has the highest number of sales during that one-week period is theoretically number one in its category. Listen to the show to hear why they used Facebook ads and on what content. The reason to offer bonuses is to drive up the pre-orders on Amazon, since other retailers and the media look at how books rank on Amazon, Michael explains. Even Amazon looks at it for how many books to order. Anyone who pre-ordered Living Forward could go to the website, enter the receipt number and their email address, and get the download link for the bonuses. They had five: a free copy of the audio book, a ticket to a live event, a detailed action guide, Living Forward Quickstart Audio Training, and a complete library of the planning templates. Michael admits putting together the bonuses was a lot of work. However, the cool thing about it was they were all organically related to the topic and beautifully designed. They approached it like they were selling a $1,000 course with a beautiful sales page with testimonials and endorsements. They didn’t validate whether there was a receipt there, Michael shares. Although they went back and spot-checked, they couldn’t find a single occurrence of someone taking the bonuses without pre-ordering, and that was with almost 20,000 people taking advantage of the offer. Create organic bonus content for people who pre-order your book. Another aspect to the launch, Michael adds, was their pre-launch team. They invited people to apply to join (3,500 people applied) and they accepted 500. Members of the team got a complimentary physical review copy, exclusive access to a private Facebook group with Michael and Daniel, and a group phone session, where the authors shared a behind-the-scenes look into the launch. In exchange, the team had to agree to read the book as soon as they got it, provide feedback and engage with the authors via Facebook or email, write a brief book review (pro or con) on Amazon or another retailer’s site, and help spread the word about the book. Listen to the show to learn the mistake people make when compiling bonus content. Endorsements are important for any kind of product, whether it’s an online course, a membership site, or a book. The difference between an endorsement and a testimonial is endorsements are typically from famous people everybody knows, famous people in your niche, or non-famous people who have important jobs and important-sounding titles. They provide third-party validation and social authority, and make it easier for customers and gatekeepers to say yes. Michael and Daniel reached out to about 60 people they knew to request endorsements, and 53 of them agreed. These people included Tony Robbins, David Allen, Dave Ramsey, John Maxwell, Seth Godin, and me. Michael and Daniel sent out 60 requests for endorsements and got back 53. Then make a dream prospect list. Decide whom you would love to endorse your product, and then reach out to them. Don’t send all of your request emails at once, Michael suggests. Instead, send out two or three emails to people you’re pretty sure will agree to endorse you. Then, when you send out the rest of your requests, include those endorsements. One more thing, Michael adds. Just ask for the endorsement. Don’t beat around the bush. 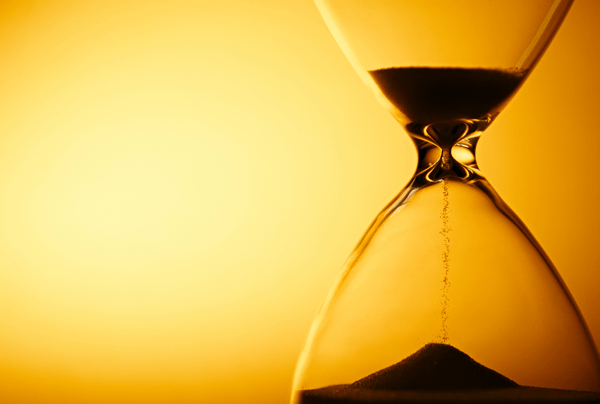 Finally, provide guidance (such as length of endorsement) and samples, and give them a really tight deadline. Although these people are really busy, Michael tells them they have 10 days. Sometimes they will ask for an extension, but the biggest names do it really quickly. Michael did not have his assistant send the requests. He did it personally. “It’s much easier to say no to my assistant than to me,” he says. Provide guidance, samples, and a deadline with your endorsement requests. Image: Shutterstock. Then after the book came out, Michael FedExed those who endorsed it a copy of with a handwritten note, instead of a “Dear Friend” letter that comes with the book from the publisher. About a month later, Michael asked those who endorsed the book to help him get the word out. To make it easy, they created an entire page with images for social media, tweets, Facebook posts, etc., that others could use to introduce the book to their tribes. Listen to the show to discover why relationships are important when it comes to endorsements, as well as where to put the endorsements. Since the bestsellers lists measure sales during the first week a book comes out, launch week activities are important. They produced their big launch event in Nashville like they would a TV show. It had a custom backdrop, five cameras, and live-streaming to the web. There were 1,000 people physically at the event. While the event was free for most, 200 people bought a ticket to the pre-event reception (which paid for the party). These people got an autographed book and had their picture taken with the authors. After the reception, Michael and Daniel got on stage and taught for an hour. They made a printable workbook for all attendees, and brought in a local retailer to sell books so they could do another book-signing. There was also an after-party for their teams and some of the local media. The evening was about four hours start to finish. While this type of event was new to Michael, his Chief Marketing Officer Chad Cannon (also from Thomas Nelson) had done tons of these with other authors. It went off without a hitch. This celebration definitely had a marketing side to it. There were 20,000 people who watched the live broadcast and another 20,000 who watched the replay. It was all about generating excitement. The call to action was to buy the book. People who bought it during the launch event got another set of bonuses. 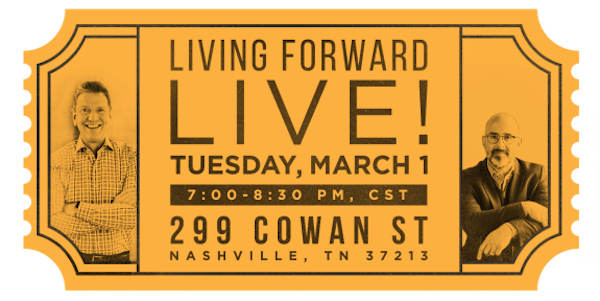 They produced a 1,000-person event for the Living Forward launch. For book-launch week, Michael, who chooses his speaking engagements strategically, did four events, including Chalene Johnson’s Smart Success Live, an event for a big company, and a live webinar three times in one day. Webinars are one of his best marketing tools, he adds. They had 12,000 people register for the webinar. When I ask about the benefits of all of this work, Michael says he’s trying to grow his audience. People may not buy one of his $500 courses or join Platform University, but they’ll buy a book because it’s just going to be $15 to $20. It’s a low-threshold entry point. Michael says he knows once he can get someone onto his mailing list, he can begin to build a relationship. He knows the lifetime value of his customers. With this campaign, they added almost 100,000 new email subscribers. To Michael that’s gold, because he knows he can convert them into paying customers for other products. Michael constantly strives to grow his email subscribers. These techniques (webinars, videos, and endorsements) can be used for any launch. It’s become a template they use, Michael says. They keep adding to it, enhancing it, and learning from it. It’s a lot of work to write a book, so why would you not promote it? A lot of authors spend all this time writing a book, and then they just throw the book against the wall and hope it sticks. If it doesn’t, they go on to the next thing. Although Michael’s goal was to get Living Forward on The New York Times Best Sellers List, it didn’t happen. They sold 20,000 books in the first week, and even though it was the third bestselling book in the country, The New York Times didn’t include it on their list. That happens to authors a lot, especially now, Michael explains. However, if he hadn’t aimed for the NYT list, he wouldn’t have hit the Wall Street Journal and the USA Today bestselling books lists. Listen to the show to learn about the additional bonus they threw in during launch week and why they did it. Copied is a full-featured clipboard manager that saves you a ton of time if you have content on your phone that you need to work with on your laptop (or vice versa). Copied automatically captures and saves the things you copy, whether it’s a URL, an image, or a paragraph of text, onto your clipboard and syncs them via iCloud. That way, you can use them on all devices. The Copied app allows you see what you’ve copied on all Mac devices. Most of the time if you have something on your computer that you want to put on your phone, you need to text it or email it to yourself. Plus, sometimes you want to copy a few different things and not go back and forth among different tabs. This keeps everything in one place. You can create rules so only things copied from certain apps get saved. For instance, you can tell it not to save copied passwords from your password manager. Copied is Mac- and iOS-based. The Mac app is $7.99 and the iOS app is free. Listen to the show to learn more and let us know how the Copied app works for you. Take a look at LivingForwardBook.com. Read Living Forward and Platform. Learn more about ebooks and the percentage of ebooks on the market. Read The New York Times Best Sellers List. Learn more about co-author and executive coach Daniel Harkavy and Building Champions. 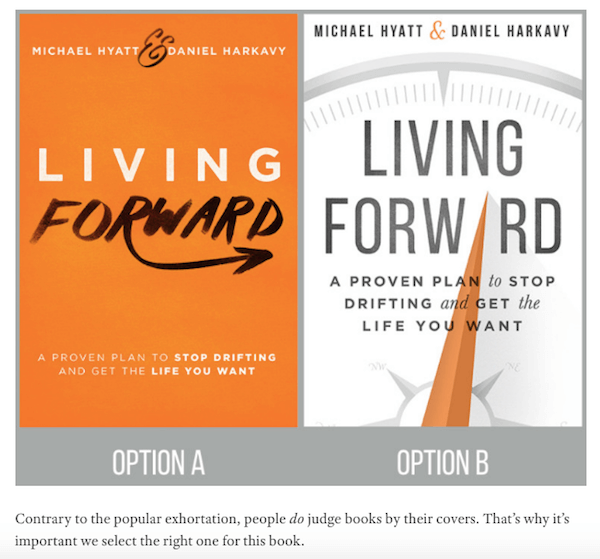 Take a look at the Living Forward book cover choices. Check out Jeff Walker’s Product Launch Formula. Explore the life-planning assessment, as well as tests such as Myers & Briggs, the DISC test, and StrengthsFinder. Check out Tony Robbins, David Allen, Dave Ramsey, John Maxwell, and Seth Godin. Learn about Michael’s Chief Marketing Officer Chad Cannon. Explore Chalene Johnson’s Smart Success Live. Take a look at Michael’s courses and Platform University. Read the Wall Street Journal and the USA Today bestselling books lists. Check out the Copied app. What do you think? What are your thoughts on launching products? Please leave your comments below. 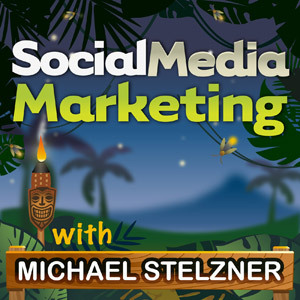 Michael Hyatt talks with Michael Stelzner about how to create a launch plan for any project.